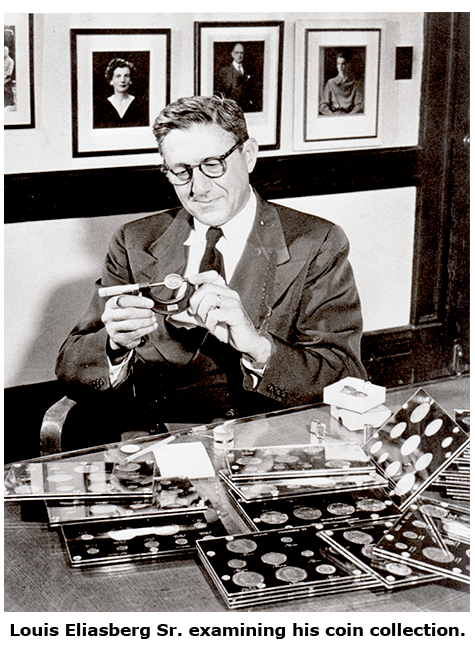 Louis E. Eliasberg, Sr. (1896–1976) was an American financier and numismatist. He is best known in the numismatic community for putting together the only complete collection of United States coins ever assembled. Although the set was not truly "complete" by modern standards (for instance, it did not differentiate between proofs and circulation strikes, as most modern collectors and set registries do), it is still the most comprehensive U.S. numismatic collection of all time. 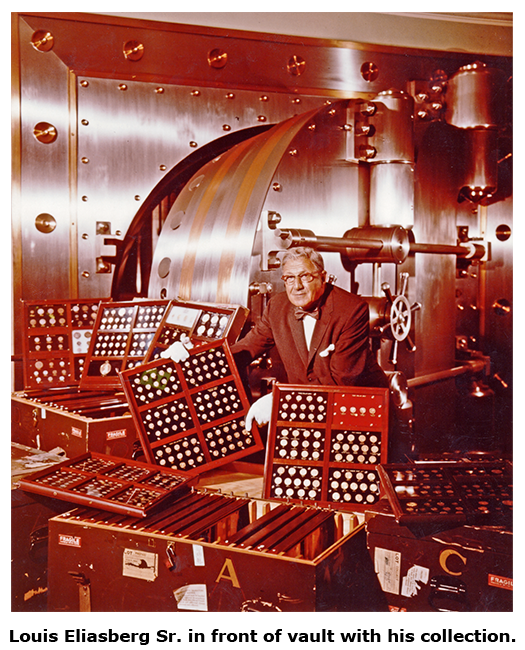 On November 7, 1950, Mr. Eliasberg completed a coin collection containing a specimen of every United States coin of every date, metal, denomination, and mint mark ever struck which were known as of that date. The Eliasberg collection did not distinguish between proofs and circulating strikes and die variations were not emphasized. There were no exceptions unless one considers the 1849 Double Eagle a coin. This is generally categorized as a pattern coin and only two were made: one is on display at the Smithsonian Institution and the other was given to then Treasury Secretary William M. Meredith but its subsequent whereabouts are unknown. No one had ever accomplished this coin collecting feat before, and probably no one will ever accomplish it again. There were one or two coins unknown at the time of completion of his collection that were later discovered. 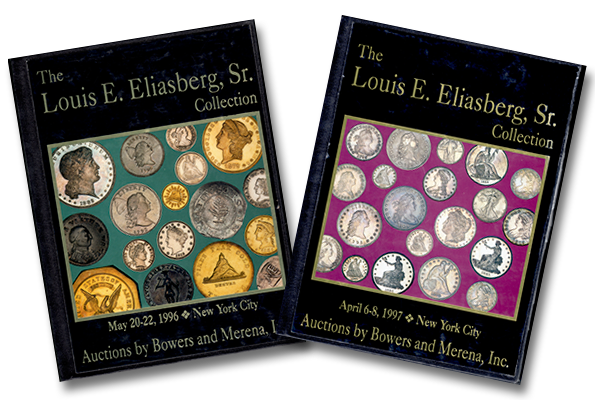 Some of the highlights of the Eliasberg collection include a 1913 Liberty Head nickel known as the "Eliasberg Specimen". The coin was later auctioned and bought by Ed Lee for US$3 million on July 31, 2003. Another is the 1873-CC no-arrows Liberty Seated dime. This coin is also notable for being the last coin needed to complete the Eliasberg collection. He possessed at one time a 1933 $20 gold coin (one of twenty-five owned by collectors, including King Farouk of Egypt). Upon learning that the government believed the coins had not been legally issued by the mint and was recalling them, Mr. Eliasberg voluntarily returned his coin to the government in 1952 without compensation. A trial jury in U.S. District Court determined in July 2011 that ten other 1933 double eagles claimed as property by Mrs. Joan Langbord had been obtained illegally by Israel Switt and were property of the United States government. This decision was subsequently upheld the following August but is being appealed. Mr. Eliasberg was presented with a special trophy by Numismatic Gallery Magazine in recognition of his unique achievement. He later divided his collection between his two children.